If you are looking for help with residential pest control or commercial pest solutions in Clinton, the experts at Big Blue Bug Solutions can help. Our technicians have been working to protect the homes and businesses in Clinton for over 80 years so we understand how to best protect the structures, keep your belongings and inventory safe, and to make sure that you, your family, your employees and your customers are kept safe from any threats of pests. Our highly trained technicians have the latest pest control technology and will ensure the highest quality pest control service. 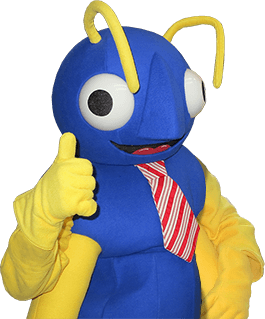 Big Blue Bug Solutions has been providing exceptional pest control to homes in Clinton, MA and throughout parts of New England for many years. When it comes to the many insects and bugs that homeowners deal with, the Clinton pest control professionals at Big Blue Bug Solutions get it. Of all the many pests that find their way into homes, some of the most common pests that enter homes in Clinton and surrounding communities in Massachusetts and New England include rodents, termites and carpenter ants. The trouble is, these pests are not simply a nuisance to have on your property and in your home, they can be a danger to both your home and family as well. Carpenter ants are a damaging pest that will bore holes into structural wood to use as nesting areas and this can weaken the structural integrity of those areas. They are most attracted to moist, decaying wood from around your property but can move inside if they find a place to nest. Rodents, including mice and rats tend to chew through insulation, wires, and pipes which can lead to house fires and water damage. They can damage your personal property and contaminate your food and food prep areas with their urine and feces. Termites can also cause extensive and costly structural damage to your home as they feed on structural wood. Termites often go unnoticed for months which will lead to an increase in the amount of damage that they inflict upon your home. No matter what type of pest is invading your Clinton MA home, the best way to safely get rid of them once and for all is to contact us for the help of a New England pest control expert at Big Blue Bug Solutions. Sealing cracks along the foundation. But if all else fails, give us a call for help in controlling whatever pest has found their way inside. If you need help with pest control in your Clinton home or business, contact the professionals at Big Blue Pest Solutions to get more information about the pests that are bugging you or to learn about our specific pest control plans from the Clinton exterminators.